One of our favourite Polish proverbs is ‘Wchodząc między wrony, krakaj jak i one’, which means, ‘When among the crows, caw as the crows do’ or to use the English equivalent – ‘When in Rome, do as the Romans do’. Here at London Translations, we really feel this embodies our views on language. It’s not just enough to know the language, it’s equally important to understand the culture, idioms and local customs of an area to properly provide an accurate translation service. Our translators are not just linguists, they are experts on each country they cover. This protects against mistakes or mistranslation due to colloquial speech and infuses your translation with far more authenticity. Not only are our Polish translators native speakers, we also assign each translation to the appropriate expert. For instance, if your document is a property contract, we would assign it to our Polish translator who is an expert in drafting property contracts. We’ve put together a first-class Polish translation team ready to serve you whatever your requirements. Polish is a Slavic language spoken primarily in Poland with over 38.5 million native speakers. It is one of the official languages of the European Union and is spoken as a second language in regions of the Czech Republic, Slovakia, Belarus, Lithuania, Ukraine and Kazakhstan. The 2011 census found that with 546,000 fluent speakers, Polish is the second most spoken language after English in the UK. The Polish language originated from the Proto-Slavic language, the first Slavic tribal language. Polish was suppressed by Russian invaders between 1795 and 1918 during the Partition of Poland. Despite foreign influence, the Polish people managed to retain their language. Because of historical emigration from Poland, particularly after World War II, millions of Polish speakers and communities can be found across the globe in countries such as the United States, Canada and here in the United Kingdom. In the United States, there are more than 11 million Polish-American citizens. Why is the Polish language important? Polish has fast become one of the most important business languages for trade within the European Union. Poland joined the EU in 2004 and has since established itself as an important international trading nation with one of the fastest growing GDPs in Europe. More and more businesses are therefore using Polish translation as a way of expanding its trade links and services to one of the fastest growing European economies. Polish translation is also becoming increasingly important within businesses that are based solely in the UK. More than 1000 immigrants who speak Polish as a first or second language come to the UK each day, a total of 365,000 new Polish-speaking residents each year. The British-based Polish workforce is increasing and therefore the need for Polish translation is too. 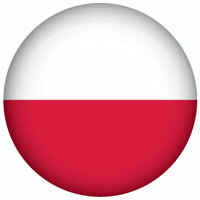 If you require a business translation, hire a Polish translator for a guaranteed accurate translation. 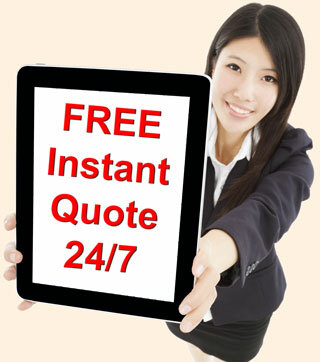 Or alternatively hire a Polish interpreter from London Translations for a quick and great value interpretation service.